It would seem I'm on a roll getting lots of new cards made. Of course, the frigid Iowa weather has something to do with that...there is no way I'm going outside with -20 wind chills blowing in my face! The view from my craft studio window is as close as I want to get to exposure to the elements. For this card, I combined the sketch challenge from Mojo Monday and the color challenge from ColourQ. I hadn't used Rich Razzleberry and Calypso Coral together that I recall and I must say that I love how they look. 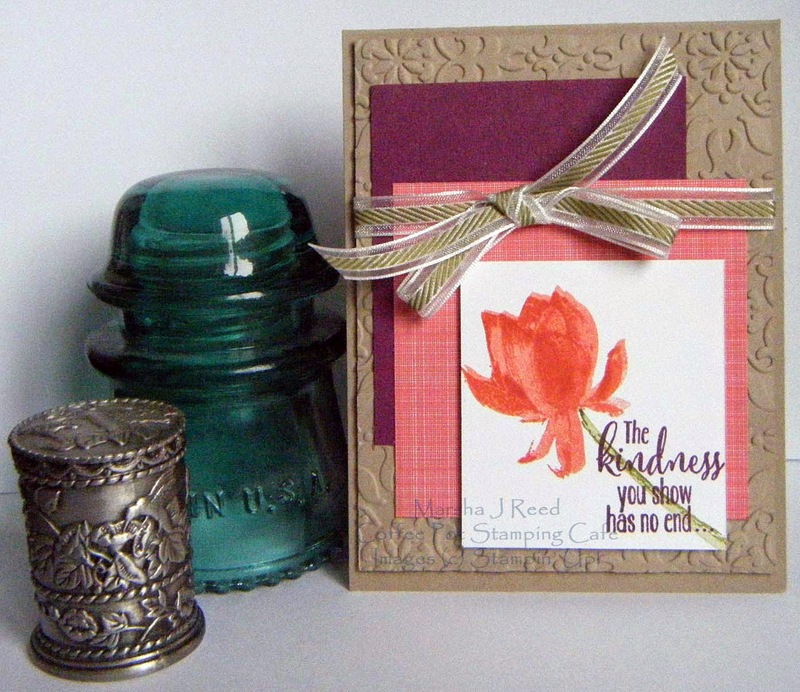 And, that Sale-A-Bration Lotus Blossom Stamp Set is fast becoming another favorite, too. The sketch is from the current Mojo Monday Challenge 379. You can find the challenge details and more inspiration HERE. 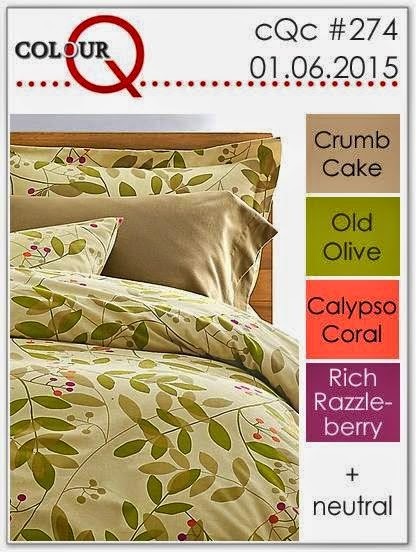 The colors are from the current ColourQ Challenge #274. You can find the challenge details and more inspiration HERE. Such a beautiful card! Thanks for playing along with Mojo Monday! Lovely layers and the embossed background is wonderful! Thanks so much for joining us at the ColourQ! Thanks, Lisa. I love that Vintage Wallpaper embossing folder.